An explorative essay on why Jane Austen's Persuasion has survived two hundred years in both its original format and its adaptations. Jane Austen’s Persuasion is the last of her major novels to be written, published in 1817 by her family shortly after her death. It follows the love story of Anne Elliot and Captain Frederick Wentworth who had fallen in love eight years prior to the opening scene of the novel but Anne was persuaded not to marry by family and friends. The plot follows the rekindling of their relationship and their love. Today, two hundred years after Austen’s Persuasion was published, we are still reading her story. Celebrating her novel through adaptations, both in writing and films, one has to wonder why her novel have continued to be a huge success centuries after it was written. The adaptations of Persuasion vary in how similar they are to the original plot line however the theme of Captain Wentworth and Anne’s love remains the most consistent thread that connects them to Austen’s novel. By looking at this consistency, it is obvious that Austen’s message of love is what keeps Persuasion alive in modern day retellings. Her message is not just about remaining true to one’s love it is also about how Austen portrays the women in her novels, showing her female readers what is expected of them in order to result in a happy marriage. Today, although ideas and expectations for love and women have been modernized, we (the readers) still ask “What would Jane do?” and we still use her novels as a guide to answer that question. A video clip of Prudie from the film The Jane Austen Club in the midst of a moral dilemma and Austen pops up to help her make the right decision. Kurotsuki52. "Il Club Di Jane Austen - What Would Jane Do?" YouTube. YouTube, 04 Aug. 2015. Web. 17 Apr. 2017. <https://www.youtube.com/watch?v=rk1XICvRxFM&gt;. Austen’s Persuasion is ultimately a love story. The story begins with a series of events that lead to her reunion with Captain Wentworth, and follows their story as they struggle with the pain of their failed past. The novel ends, when Austen gives them a happy ending of admitting their love to one another and becoming engaged to be married. Yet, she incorporates so much more in her message. Through her wit and intelligible writing, she comments on social classes, on the fall of the Navy’s grand reputation, the crumbling of the old eras making way to the new thinking and style. All of these were important and contemporary issues when she wrote Persuasion, but the novel is still centered around love and many of her adaptations stick to this core theme of intimacy. Film adaptations of her novel set in the same time period with the same plot, take out some of the contemporary issues so the movie can focus more on the love story. 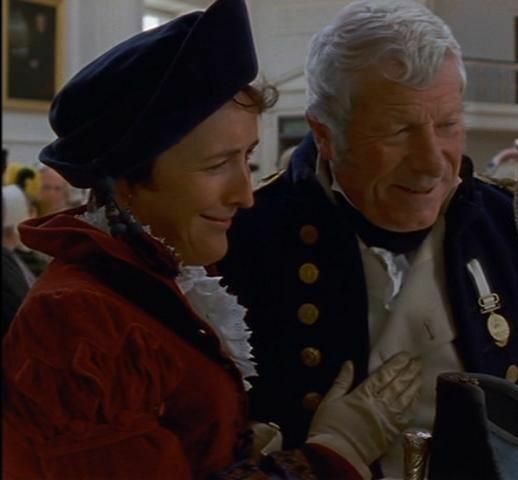 The 2007 Persuasion adaptation is one example where it omits important issues, such as women’s role in the navy, but adds in scenes from Captain Wentworth’s point of view and conversations Austen never wrote to hone in on the importance of their passion. Both novel and film adaptations like to exaggerate the love, adding steamy romances that would have been much too racy for Austen’s time or dreaming up what happens after Captain Wentworth and Anne get married. And in most cases, the story can only end after a kiss, a proclamation of love, or some sort of hint of a happily-ever-after. It’s this love that Austen has created that has attracted such a wide spread audience that continues to support her infamous plots and is why her adaptations keep circling around it. A video montage of kissing and affection in Persuasion 2007 and 1995 film adaptations as well as The Jane Austen Book Club and The Lake House which are also centered on her message of love but are more loose adaptations of Austen's novel. Austen instructs women on how to act by showing good and bad marriages through well-behaved and silly women. By showing these contrasted portrayals of her female characters, she provides her novel as a guide that shows that “good” women end in happy marriages. Austen’s best example for a marriage is Admiral Croft and Mrs. Croft, an elderly couple who rent out Kellynch Hall. Austen demonstrates Mrs. Croft as she claims that “I can safely say, that the happiest part of my life has been spent on board a ship. While we were together, you know, there was nothing to be feared” (Austen 51). They are their happiest and strongest when they are together, complimenting one another’s strengths and weaknesses. The Crofts show this when they give Anne a ride home in their carriage, “[Mrs. Croft speaking] ‘My dear admiral, that post!—we shall certainly take that post.’ But by coolly giving the reins a better direction herself, they happily passed the danger” (66). By working together, they avoid all “ruts” and “fouls,” the physical avoidance of damages similarly relates to their marriage; as long as the Crofts collaborate and are patient with each other’s abilities, their marriage will avoid all dangers and arguments (66). A good woman will succeed in a marriage if she is devoted and helpful. "Admiral Croft in His Gig: Jane Austen’s Persuasion." Jane Austen's World. N.p., 20 July 2010. Web. 19 Apr. 2017. <https://janeaustensworld.wordpress.com/2010/07/20/admiral-croft-in-his-…;. "Each Little World: Jane Austen." Pinterest. N.p., 26 Mar. 2015. Web. 19 Apr. 2017. <https://www.pinterest.com/pin/505388389411060435/&gt;. Austen contrasts the good with Anne’s sister Mary Musgrove. Mary is not maleficent or angry however this example of a “silly” female shows Austen’s readers an example of bad character as Mary cares a lot more about socializing and having fun than her duties as mother and wife. Her focus on these things and her unwillingness to cooperate or to loosen up her “nonsense and pride” creates tension between Mary and her in-laws and degrades her marriage with Charles Musgrove. (63). Charles seems to be at wit’s end with his wife with her constant nagging and rude behavior. During a walk he was in good humor with Anne, but was obviously “was out of temper with his wife” because “Mary had shown herself disobliging to him” and as a consequence he refused to walk with her arm on his (64). Austen uses the character of Mary to show that women should not be so self-indulged, that they should care about others, the responsibility of being a respectful wife. "Posts about Persuasion on Peachy Reviews." Peachy Reviews. N.p., n.d. Web. 19 Apr. 2017. <https://marspeach.wordpress.com/tag/persuasion/&gt;. "Persuasion 2007." Pinterest. N.p., n.d. Web. 19 Apr. 2017. <https://www.pinterest.com/dandelion7778/persuasion-2007/?lp=true&gt;. These small details and contrasts between good and silly women strengthen Anne as a character, building her morale and support from Austen’s readers. First, the in-laws show their preference over Anne’s good character over Mary’s when Charles’s sister, Louisa, admits to Captain Wentworth that she wishes her brother had married Anne instead, “She [Mary] has a great deal too much of the Elliot pride.—We do so wish that Charles had married Anne instead” (63). This shows that Anne can stand on her own and does not allow her family’s bad traits affect her, making Anne a better choice as a wife than silly women. In the novel, Mary had also made poor choices as a parent, which furthered the selflessness within Anne. When Mary’s son, Charles, falls and dislocates his collarbone, she shows a lot of hysteria and concern at first, but as soon as she knows her son will be alright she drops the façade, “So! You and I are to be left to shift by ourselves, with this poor sick child—and not a creature coming near us all the evening! I knew how it would be. This is always my luck!” (41). Mary would rather be out socializing than taking care of her sick child so Anne takes pity on her sister and volunteers to stay behind to take care of Mary’s child. This is despite the fact that Anne wishes to see Captain Wentworth again. Anne proves time and time again throughout the novel to be a gentle, caring soul who can stay calm in stressful situations. Austen shows her readers that Anne is ready to be a good wife and mother, that she is prepared to have a wonderful marriage with Captain Wentworth. "Anne Elliot: Why She Is My Role Model." PuritanObserver. N.p., 11 Aug. 2014. Web. 19 Apr. 2017. <https://puritanobserver.wordpress.com/2014/08/11/anne-elliot-why-she-is…;. Austen gives us a guide to strong good women with morals and silly women in Persuasion, which makes her novel continually relatable and adaptable, especially in contemporary works. Film adaptations want to recognize the strength of her female characters despite the fact that the movie might be set in Austen’s time period. The 2007 film of Persuasion emphasizes Anne’s responsibilities of Kellynch Hall by showing her to be in charge of the household and getting everything settled and packed up for renters. In more contemporary set pieces Anne’s good traits are emphasized even further. In The Lake House Anne’s nurturing behaviors, as shown when she takes care of Mary’s ill son Charles or when she helps Louisa after her big fall, is played up through Kate (an adaptation of Anne) who is a doctor whose focus is on helping people and saving lives. In this movie, Kate puts others before herself putting immense stress on herself whenever she loses a patient. In the same film there is a version of a silly woman as well, Mona, who seems to have a shallow personality and cares more about fashion than sensibility for working in a construction zone. In the end it is Kate who ends up with the man, not Mona. Austen’s message about how responsible, caring women are ready to be in a committed relationship that bring them happiness continues into modern day adaptations, showing how important the original message is. Coming from an era where women are still seen as property and have limited power in their own lives, Austen still manages to give Anne and other female characters strength. This has made it easier not only for contemporary readers to continue to relate to her novels but to see how her guide of silly and good women can also be modernized. The Jane Austen Book Club by Karen Joy Fowler is about a book club of five people who are reading each of Austen’s novels and is loosely based on a plot line similar to Persuasion. Fowler gives many parallels between her characters and the characters in Austen’s novel. 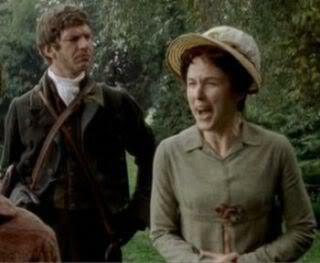 However, one of Fowler’s figures can have similarities to several of Austen’s or several of Fowler’s characters are relatable to a single one of Austen’s. For example, Louisa Musgrove (a silly woman by Austen’s standards) is similar to both Allegra and Jocelyn. Allegra fell and hit her head during a rock climbing incident, which resulted in her starting a relationship with her physician Dr. Yep. 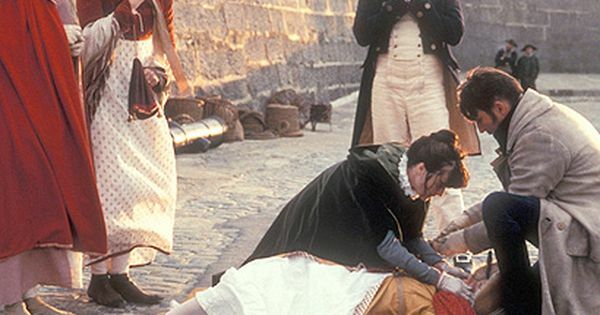 Louisa’s fall when Captain Wentworth was unable to catch her that left her unable to leave Lyme until she recovered and she fell in love with one of her caretakers Captain Benwick. Jocelyn also has some similarities because she changed her reading habits to enjoy more science fiction because a guy she is interested likes the genre. Louisa took a liking to poetry when she started to fall for Captain Benwick to get closer to him. Jocelyn also has some similarities to Anne because she did not marry the first man to fall in love with her, but rather waited and accepted the life as a spinster. Her patience allowed time for Griggs to come along and she finally found love within a happy relationship. Anne turned down several suitors and her waiting gave her and Captain Wentworth time to fall in love again. By doing this, Fowler shows that Austen’s characters from the 1800s are still adaptable and relatable in modern times. She also exhibits to the readers that everybody has both silly and good characters within them, and it is up to the reader to have the integrity to support the right one. In the 18th century "good" women take care of those injured. Here, Anne rushes to Louisa's side to make sure she's okay after she falls off the wall. Anne remains calm and in control while other women are shrieking and not being as helpful. "Persuasion." Pinterest. N.p., n.d. Web. 19 Apr. 2017. <https://www.pinterest.com/sdurham034/persuasion/&gt;. Here is Kate from The Lake House (2006), a modern adaptation of Anne, who is a doctor. In several instances in the film you see Kate remain calm and collected, knowing what to do in stressful medical situations. Movie Review: The Lake House. N.p., n.d. Web. 19 Apr. 2017. <http://www.popcornreel.com/htm/lake_house.htm&gt;. Austen’s message is reemphasized in adaptations because it is what her readers and viewers want: advice from Jane Austen in modern day situations. The Jane Austen Book Club best demonstrates this through a magic eight ball that answers questions with Austen quotes: all the person needs to ask is “what would Jane do?” The end of the novel credits all five members of the book club finding love to Austen’s novels by pointing out that “now we were all now married or dating,” because they had “let Austen into their lives” (Fowler 249). The book club members were able to open up and find the strength from within, choosing their good internal character over their silly one. Austen’s guide tells the readers what is needed in order achieve happiness, and Fowler’s adaptation supports this. By achieving their good characters, each member finally showed that they were ready for a good relationship, love, and a happy ending just like Anne. This need for Austen’s advice is brought into the material world of gift shops at Jane Austen museums, centers, and house through trinkets, planners, and quotes. A Jane-A-Day diary gives fans a new Jane Austen witticism every day for a year for five years. Book bags, magnets, framed posters, and daily calendars all shout out Austen quotes taken out of context to be construed into whatever advice somebody might need. A lot of the merchandise is also focused on the love aspect of Austen’s novels, focusing on making the connections between Austen’s words and film adaptations (emboldened by "I heart Mr. Darcy" t-shirts). This shows that Jane Austen fans do not want to just finish a novel or movie and leave it there. This is a major signifier into why Austen’s novels have remained so popular and continue to succeed through both original works and adaptations into a modern era. Austen consumerism also reflects on why adaptations of her novels continue to be made: people always want more from her stories. By making up their own plot lines or adding onto Austen’s message directly, adaptations allows for reader’s imaginations to continue that story. Yet, after reading Austen's novels, then film adaptations, followed by imaginative retellings of the same story, Janeites are still not satisfied. Austen merchandise allows them to bring it home and incorporate it into their daily lives. Jane Austen novels have many layers of wit, meaning, and criticism incorporated into her writing, however, it is her romantic plot lines and informational demonstration of females characters that have made her novels stand the test of time. Her portrayal of silly and good women in Persuasion shows what kind of character is needed for a woman to end up in a good marriage, providing a guide for readers to follow in order to find happiness like her novel’s characters. Readers want this guide, which is why adaptations continue to apply this advice into modern retellings so that Austen’s message can remain contemporary and why both Persuasion and its adaptations continue to be successful. Fowler, Karen Joy. The Jane Austen Book Club. London: Penguin, 2015. Print. Persuasion. Dir. Adrian Shergold. Perf. Sally Hawkins, Alice Krige, and Anthony Head. Persuasion. Dir. Rodger Michell. Perf. Admanda Root, and Ciarán Hinds. BBC, 1995. DVD.